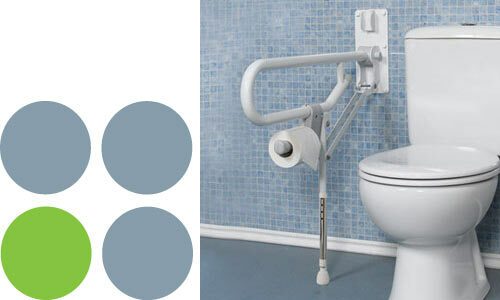 These fold-up support bars are designed to provide additional support next to a toilet or bed; they fold up to the wall when not in use and are ideal where space is limited or for multi-user bathrooms. • Safety mechanism secures bar in position when folded up. • Steel construction with rust inhibitor treatment.